92 Somali nationals who were deported from the United States earlier this month are suing the Trump administration over “slave ship conditions” on the plane back home. They were denied access to food, water and bathrooms for nearly two days while on the plane. The lawsuit, filed by four U.S. immigration groups, including Americans for Immigrant Justice and the Immigration Clinic at the University of Miami, states the U.S. Immigration and Customs Enforcement, ICE, “subjected (the petitioners) to inhumane conditions and egregious abuse during a failed attempt to deport them by plane to Somalia on December 7, 2017. The men and women “sat bound and shackled” on an ICE-chartered plane that took off from Louisiana which was Somalia bound, but only made it as far as Dakar, Senegal where it sat for 23 hours. The flight lasted over 40 hours. The passengers are currently being held in a detention center outside Miami as their lawyers prepare to halt another attempt to deport them. 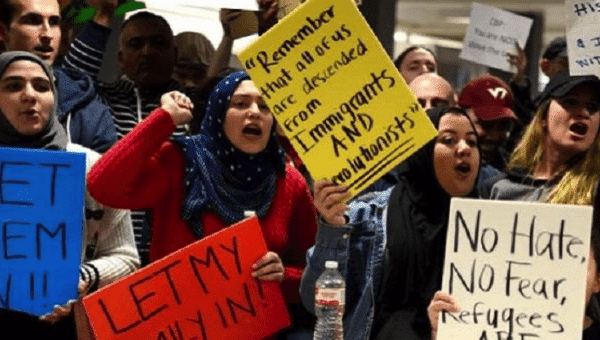 “I think it’s reflective of the Trump Administration’s overall crackdown on immigration as well as reflective of their attitude towards Somalia and towards Muslims,” Kim Hunter, an attorney representing two plaintiffs, told the Guardian. In October, a massive truck bombing carried out by the Al-Shabaab in Somalia’s capital killed over 500 people creating a climate of insecurity in the country. Despite this, the Trump administration’s claims of deporting people with a criminal record are being challenged, since nearly one-third of those on the plane had no criminal record, the lawsuit pointed out. “This is now a disturbing pattern where ICE is targeting people who have been living in the community for many years on these orders of supervision and with work permits and suddenly they are snatched from their families and communities,” Rebecca Sharpless, another attorney representing the passengers said, Common Dreams, reported. Per testimonies, some people aboard were physically abused by ICE officials.